Isaiah loves to read! 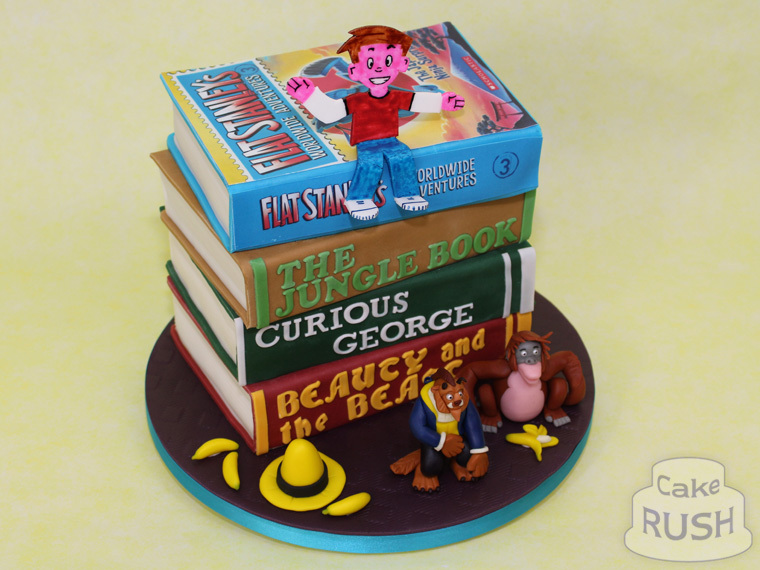 For his fifth birthday we made him this stack of well-known storybooks, in two different flavours of cake. 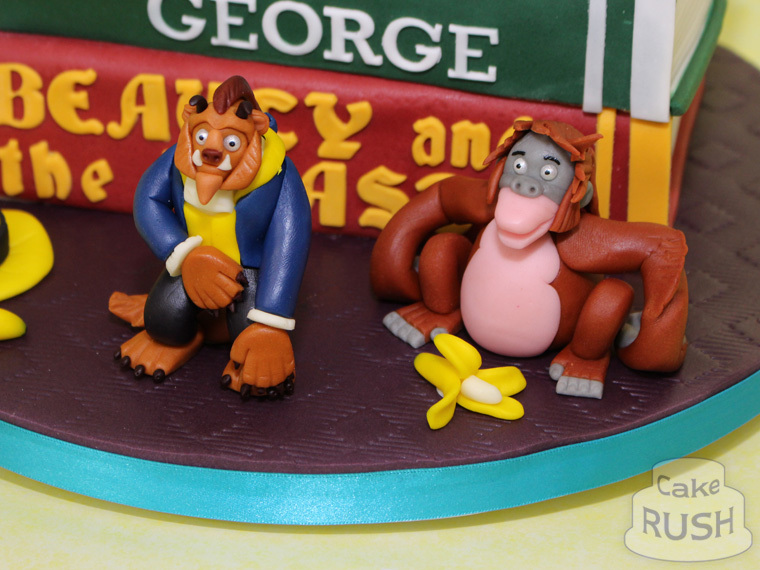 There are also decorations representing each book: bananas and a hat for Curious George, a Beast for Beauty and the Beast, King Louie from The Jungle Book, and on top of it all Flat Stanley in suitably two-dimensional form.